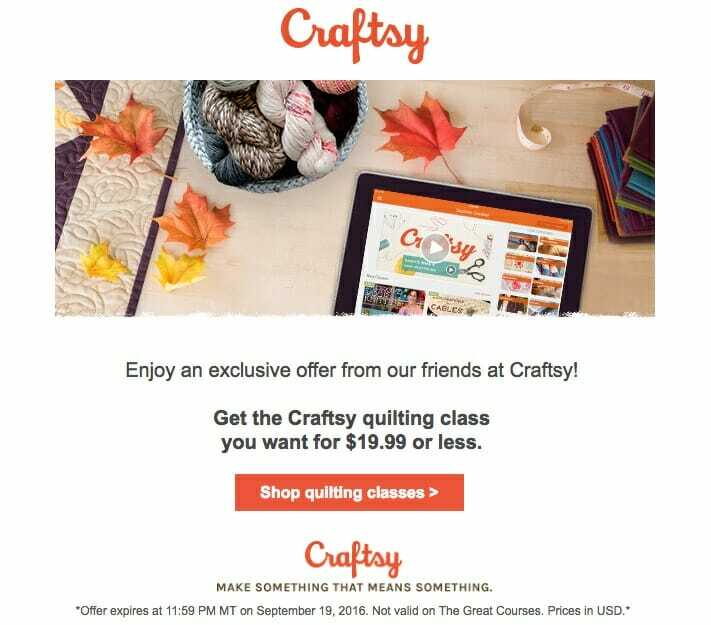 Our friends at Craftsy have made this EXCLUSIVE offer to our readers interested in quilting. For this weekend only, all their QUILTING CLASSES will be only $19.99 or less just for So Sew Easy. If you want to get into quilting, this is a great opportunity to get the classes you've been waiting for at this SPECIAL price. This link is not working…any suggestions? Would love to take advantage of this opportunity.